There is still relatively little tourism in the south-east of Malta. In spite of its picturesque landscape and stunning coastline, there are very few hotels to be found. The one exception is Marsaskala, a former fishing village situated on a fjord-like bay lined by a low cliff-lined and situated on a low hill reaching down to St. Thomas Bay, the main bathing spot in the area. Even though it has no real centre to it, the village has nevertheless become a popular place for well-to-do Maltese citizens to set up a second home. Just a few miles south of Marsaskala is one of the largest bays on the island, Marsaxlokk Bay. The pretty fishing village of Marsaxlokksis still a popular tourist destination, but this idyllic landscape of all places was chosen by the Maltese Government to build the second power station on the island, which supplies a significant proportion of Malta's electricity. 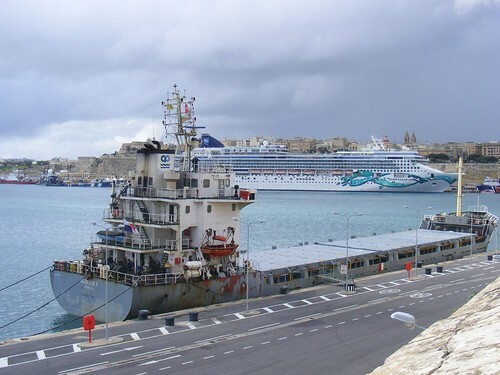 In addition, a huge new port which also services large container ships has been created near Birzebbuga. All this in spite of the natural beauty of the southern part of the island. There are hidden caves in the middle of the steep cliffs as well as grottos such as the Blue Grotto, which is just as romantic as its much celebrated counterpart on the Italian island of Capri. And the nearby temples of Hagar Qim and Mnajdra are located in a particularly scenic setting. A trip along the bays and the steep coast of the south-east of Malta is defiinitely worthwhile. do you know Southeast Malta well?